Now every other power operating against you I declared broken in Jesus Name. Prayer is the spiritual platform for empowerment. Prayer has been greatly abused; many have used just to get things. It is a platform to command things. Is not a platform for begging, is a platform to be in powered to command. Jesus commanded Lazarus to come out of death, He did not pray, He just commanded. Read Luke 3:31-32 see he was praying and the heaven opened. All others were being baptized but they were not praying. Prayer is a platform for spiritual empowerment. The Kingdom moves in Power, see in Luke 11:12…thy kingdom come = thy power come. In the name of Jesus evil oppressing spirits we cast you out of this meeting. Power is in the Kingdom of God, when you hear thy Kingdom has come = thy Power has come. Read Hebrew 4:16 to exercise great spiritual boldness is the power in display; you get beat up and many needs hang around you because you have not understood this praying in power. It takes power to secure destiny. Pilots expertise are reflected in how many hours of flying time they have accumulated, some Christians have 10 years with less than (365×10=3650) 3650 hours of prayer, if they prayed 1 hr daily, now you see how you are defeated. Everything that has been sowed in your life that is not of God is the fruit of frustration and sorrow, today is you day of deliverance. Be free from them. Amen. Jacob wrestled his way to power that caused him to prevail to keep the Blessing = Prosperity. You must not let go of God until you are empower to move into the next level. Power is needed for restoration: Read Joel 2:23-25 remind Him of His Word and ask for your share to move in power and fulfill your destiny in the Kingdom. After the rain of power comes the rain of restoration follows. Who brings this Power, only God the awesome God Holy Spirit. Be tenacious in your prayer, in your worship and prevail through – where you will be changed, not God, but you, be persistent and kept a firm grip. Wrestle with God, Father Your Word declares…It is written I AM strong, I AM rich, then the thief is caught, his name is barrenness, poverty, lack, diabetes…bring him to judgment and demand 7 times recompense – it is time of restoration…someone have understood and he/she will get all his/her inheritance. Unless the thief is caught, you cannot recover your gold ring that was stolen. Read Luke 11:21,22 that is why you need be empower this is the beginning of your process of recovery all. The devil has not choice than to give it up NOW. It’s time to redeem the time that was lost. Read Joel 2:26 mark this day, the end of your reproach. Read Isaiah 32:13-25 who brings you this power? It is God Holy Spirit living in you. This great outpouring of the Spirit, HE is the only one that will empower you to recover. Until you are empowered you can’t recover. When you want to settle large disputes you go to court for justice, you do not fight on the streets. That is the same you go to the Judge of all, you have identified the one that is causing this blockage of your continuing Blessing and you bring him to the Heavenly Court for settlement. 1 There are devil casters: Mark 16:17 in His name you can cast out devils, familiar spirits are in his low level category. This is the only platform we operate from. We live only by the Gospel. We are not ashamed of the Gospel of Christ that is the power of salvation, save of everything that does not align with the will of the Gospel for us. This is the time for your liberty! You do not need to add anything to God that will be an insult. That will add affliction to your life. I can see devil caster moving up to devil tormentors here! And I see devil tormentors moving up to devil destroyers. If you are walking on the road that there is no sidewalk, you hear a motorcycle coming from behind you, you may not change your walking, you hear a car, you will walk with caution, you hear an 18 wheeler truck coming fast, and you will jump out of the way… that is the way devils should react to your presence. In the name of Jesus I decree your access to the next level of empowerment. When you change level, you change position…that situation will turn around. That business is taking a new turn. Thank you Jesus! 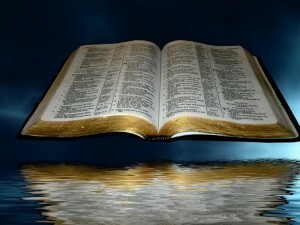 When you comply with scripture you obtain your desired future. HE is imparting that power now! Received it. After Jesus fasted and prayed, he returned in the Power of the Spirit. Luke 4:1-14, His shame, turned into fame. Luke 4:18 19 He return anointed to fulfill His destiny. When you separate yourself and seek passionately the face of God, His will – or any other matter, you will move in this Power. A witch causing a lot of distress on her family, was dealt with, when asked where is your help? Is the prince of darkness your defense? She answered: “as long as you are here, he cannot come”. Any work of witchcraft I destroy it from your life in the name of Jesus! Pray your way to Power. Do it as you have never done it in your entire life. Wrestle you way into power. It’s wrestling, not a begging. You do not sleep while you wrestle, you do not eat while you wrestle, you do not take a break UNTIL YOU HAVE YOUR ANSWER, it may take a few rounds, keep the grip strong. If you do not have a Covenant with the most powerful one, now is your appointed time, you cannot longer miss it, if Jesus Christ is not your Lord and Savior, this is the time – all the power of God is in your behalf. He died for you and with his precious blood sealed this Pact, take the first step, stand and come forward. If you do not have the God Holy Spirit in you, or if you have been not as you should be, repent first and come forward. While they are coming all of you: Cry out for a new level of empowerment, to experience a true restoration, pray your way into Power. Pray in the spirit and in your understanding!. See Luke 9:29 the result you see in Luke 9:43 He prayed into mighty power. Even his garment was affected by this mighty power. Read Luke 9:35 from now on you will recognized His voice. Read aloud Luke 22:41-43 how long have been since you kneeled down and prayed? He is worthy, He is for us, He wants your embrace, He is looking for obedient sons, His Power is holy, always and obedient son. Go to the next level. All that cried with Faith unto the Lord has come to a higher level. Praise Him, He is always good to you. Jeremiah 30:19 this is the plan of God for us and our family, for our church. 19And out of them shall proceed thanksgiving and the voice of them that make merry: and I will multiply them, and they shall not be few; I will also glorify them, and they shall not be small. 20Their children also shall be as aforetime, and their congregation shall be established before me, and I will punish all that oppress them. 21And their nobles shall be of themselves, and their governor shall proceed from the midst of them; and I will cause him to draw near, and he shall approach unto me: for who is this that engaged his heart to approach unto me? saith the LORD. 22 And ye shall be my people, and I will be your God”. Lord confirm your word today, multiply us, bring the multitude, in the Name of Jesus, in your power, by your power, confirm Your Word, empower your church, let there be a mass movement from darkness to Your Kingdom, we call the multitudes. We send our words thru the winds of God Holy Spirit thru the nations, touch the heart of leaders to lead in righteousness, remove those unwilling to change, confirm Lord Your Word, confirm Jesus Christ, we call great release of finances, we bless You, no one greater than You. We are Your body, confirm Your Word today. Let me experience continually from now on the financial blessing. Always give your testimony, there are not just stories, not only you can learn from what is evident; the Lord is working on behalf of His people but Psalm 119:24 are delightful, and show us to continue to take the steps, testimonies are spiritual counselors, guides us. We can have the same results. Let’s look at the benefits of fasting, Jesus did not advice us to fast, He instructed us to fast. 2.- Fasting is necessary for empowerment, empower to be in command to break every yoke. 1. 3.- Revelation, thy light break forth as the morning. There are things you hear, and things you see, the things you see stays with you for life Isaiah 2:1 was able to see what God was saying. Open your spiritual eyes and see as Father thru the Holy Spirit guides you thru your study of His instructions in the Bible. His word tells you in order for you to lend too many nations, you shall not borrow. Obey Him, see this benefit and will stay with you, draw a line and start a new beginning. You may doubt what you hear, but not what you see. Even Thomas doubted when he hears about Jesus was alive, but when he saw he repented. The devil is blocking your spiritual eyes of those that believe not. There are some tasks in the Kingdom that only moves thru prayer and fasting. Let this Revelation remain with you. Arise and shine for thy Light has come and the Glory of the Lord is risen upon you! The church was not growing, we went to fast and pray for the answer, then G-d show us a darkness was over the roof of the church, I commanded the darkness to leave and Light to come in, and saw the darkness roll as you roll a mat and left. They say, is there is any good come out of Nazareth…come and see. Keep sowing and the grass will grow, the sheep will come, keep the grass green and they will stay. He will make you lie down in green pasture. Do not let your belly control your destiny, keep it under. Fasting is very good. Matthew 17:21, many have lost because of the insatiable appetite, they run out of church with their noted, principles learned during service, but do not wait for the Blessing and gave up this empowerment to run to the parking lot and run to fill their belly’s at nearby restaurants. The principles learned must be sealed by the Blessing to be empowered and effective in your lives. On some of you Light is breaking forth, is that you? Barrier blinding your mind are being destroyed now. 4.- Restoration of your health. “and thine health shall spring forth speedily”- at the end of the fast, take communion and seal this truth, enforce it and every aliment most leave your body. No sickness is normal to redemption; you are a child of G-d, our bread is health. Every kind of disease is a foreign body and most leave the temple of the HS, your body. Do not settle unless you have a total restoration of health. 5.- Fasting, a platform for sanctification, righteousness flourish in our lives thru fasting, defilement is destroyed. 2. 6.- Glorification is the cure for shame and reproach, right now all your shame and reproach shall roll away, we hear testimonies replacing trials, and we see miracles replacing obstacles. 7.- The Lord shall guide thee continually (Isaiah 58:11) fasting access you for divine direction. In the same scripture is abundance. 8.- He will satisfy their soul in drought – making fat thy bones, and thou shalt be like a watered garden and like a spring of water, whose waters fail not. 9.- Change of name in 58:12 your name is changed to the repair of the breach, the restorer – as Jacob was change to Israel after wrestling with the angel, your name was changed also. A change from any negative to positive. There is a reverse available to you. 10.- Change of level. 58:14 then, shalt thou delight thyself in the LORD; and I will cause thee to ride upon the high places of the earth, and feed thee with the heritage of Jacob thy father: for the mouth of the LORD hath spoken. Fasting facilitates this change of level. These are vital benefits you need to learn to use. Money cannot buy it, as you engage in SPIRITUAL FASTING. Just as prayer have power as his principal focus, so also fasting has power as his principal focus. This does not go out, but by prayer and fasting. Satan will only submit to superior power. Psalm 66:3 “say unto GOD, how terrible thy works, through the greatness of thy power shall thine enemies submit themselves unto thee”. Now your power level in enhance, come on higher, the earth, all nature included are waiting for the reveal of the sons of G-d, that is you and me, we must make these truths part of our being. Fasting is a spiritual platform to enhance our level in the realms of Power. No more limitations in your life, in the Name of Jesus! GOD has ordained your multiplication this year! Every form of sickness or weakness most leaves your body this very hour! Your receipt is in Jeremiah 30:17 do not carry any sort of discomfort in your body, take this for life instead of drugs. 17For I will restore health unto thee, and I will heal thee of thy wounds, saith the LORD; because they called thee an Outcast, saying, This is Zion (the Church), whom no man seeketh after. In the Message Bible: As for you, I’ll come with healing, curing the incurable. Because they all gave up on you and dismissed you as hopeless— that good-for-nothing Zion (the one belonging to the Kingdom). The rain of the Sprit will precede the rain of restoration, and the rains of the Sprit have begun falling over you – total restoration is at hand! Glorious is Him. No one will ask me again, are you a poor Christian? Where is you GOD?- Having enough is not a sign of Prosperity/Shalom. Anything that had you tied down in any area of your life is loosed now! You have now the keys of David that can open doors and shut doors. It takes prayer and fasting to go to the next level and receive empowerment for that level. Declare: My rain is falling over me! What you will not expect, you are not permitted to experience. Be sensitive to the person of Jesus, He has have began to move around you. Greet the Jesus in the persons you encounter. 1 Kings 18:41-45 for 3 yers no rain. Abundance of rain. Areas in your life that have been dry, I can hear the sound of a new released! We are not here to give it a try; we are here to provoke the rain. I am here to receive. Whatever good have ceased in your life, are here returning in a great way! What is our mission on the High Desert? TO ESTABLISH THE KINGDOM OF OUR LORD JESUS CHRIST! Your dying business most resurrect, you must take higher positions in governmental cities, take over the decision making in your community. Restoration double is your portion! Hear this, Jacob was alone, the wrestling was past night, the new day was coming up, the angel said to him I could break your leg, he said break it but you are not leaving. ONLY THE DETERMINE CAN TAKE THEIR PORTION. If you are not determined, you are not qualified for this magnificent delivery of your portion. It is in His Blessing. Genesis 32:28 your name is changing now. When you are praying and fasting is the accepted time for the Lord to hear you and act on your behalf in 2 Corinthians 6:2 today is the day of your salvation of that what is hinder you, of that oppression, of that lack. 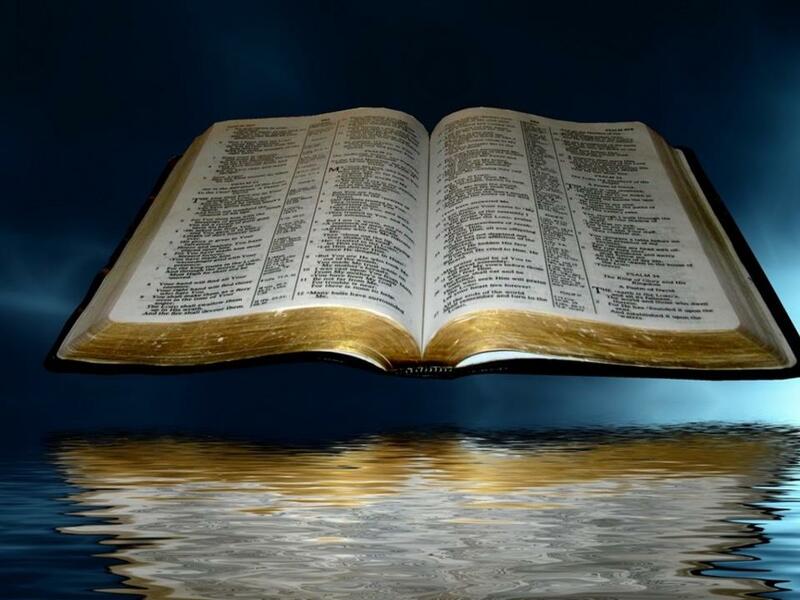 KJV: 27Withhold not good from them to whom it is due, when it is in the power of thine hand to do it”. This is the way He operates, be bold and go to the throne of Grace in time of need. Are you convinced that this is His word? Are you convinced that He has the power to do it? Are you convinced that He is willing to use His power in your behalf? The day I believe, is the day GOD intervenes. Father withhold not…it is written, it is IN YOUR POWER! On Eagles Wings Ministries has a mandate from GOD to RESTORATION, in every area, for you to know who you are in Christ, a mature one, a son of God, a perfect man, a holy one. As He is you are. I decree that this new level you have come up now, you will not lose it. Whatever it have been restored to you – guard it and keep it. In the Name of Jesus. No man will ever ask you, where is your God? In the name of Jesus. Father in the authority of Your Name, your people are grateful and rejoice in You, gave them an understanding heart that they will study and keep that of which You have spoken. They are arm and ready to respond any other attack and they will deal speedily. We praise You! Now as You instructed, Your Blessing will be released and your Sacred Name, seal them in their spirit, glorify Yourself in us, we are your people! 27And they shall put my name upon the children of Israel, and I will bless them. Close your eyes and see Father blessing you. 26 YHVH lift up his countenance upon thee, and give thee peace.